This week’s H.O.A.G.Y. (Help Out a Gal/Guy, Yeah?) comes from my new best girlfriend who has several 30+ year old fruit trees in the backyard of her Avenues home in our Salty City. Plums, pears, apples, and other fruity goodness for days, people. The boys and I went over a few days ago and harvested buckets full of her late-season plums, and she’s still swimmin’ in ’em. I’m sending her some of my Plum Ginger Pink Peppercorn syrup–which is dead easy to make with even the squishiest of fruit you’ve got on hand– in thanks for sharing her bounty, and hope she’ll make this fab tequila cocktail with it, or perhaps an equally delish Plum Lucky (with gin) or Plum Crazy (with bourbon). It’s ALL good. Fill a tall Collins glass with ice. 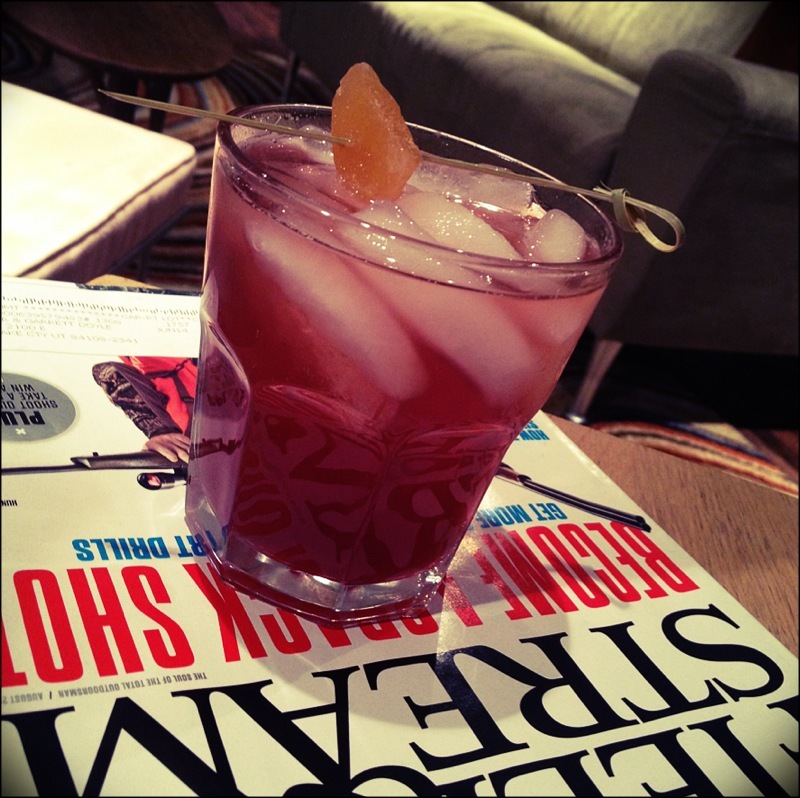 To a bar glass filled with ice, add the tequila, Cointreau, and plum syrup. Stir with a bar spoon for a minute. Strain into the Collins glass. Add a splash of club soda floater. As with many sweet drinks, a good pinch of salt does wonders right on top; use plain kosher salt, or some wacky smoked sea salt you’ve been saving up. Get yourself a straw to slurp down all of that sweet, sweet goodness. 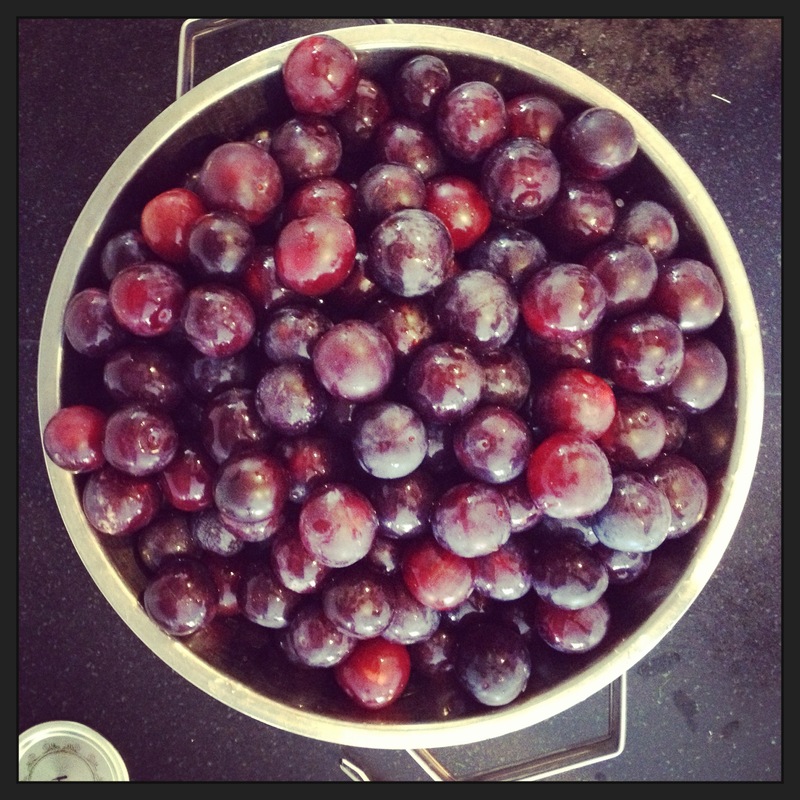 We were on a plum glut for a while here at my tiny kitchen. My girlfriend Pink Lady has a friend with a super-prolific plum tree and he basically gave her– and by extension, me, though I’d never met this scion of generosity before—carte blanche with his crop before the birds got ‘em all. We’re talking plums for DAYS, friends. Nice, small–about the size of a walnut– dark ones, which were delightfully sweet out of hand. A large portion of the less-gorgeous specimens* I used to make a big batch of thick cocktail syrup, which I then processed in half-pint jars to keep shelf stable for the year. 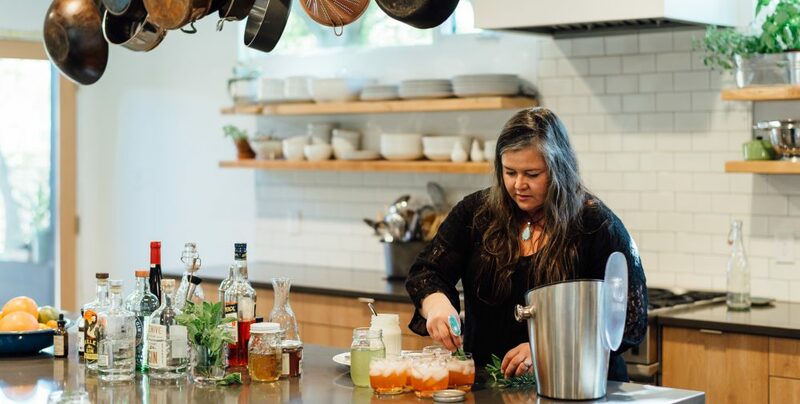 I’m sharing here with y’all a small-batch recipe which will keep beautifully in your fridge (if you’ve strained it well) for 3-4 weeks. This syrup will make you look like a cocktail rock star: the gorgeous deep purple-to-pink color practically glows in the glass, even when it’s shaken vigorously with liquor. It pairs especially well with an English dry floral gin (think Plymouth, or Broker’s), or with vodka if you want more of the ginger notes to stand out. It’s also very refreshing mixed with one part syrup to two parts club soda, poured over ice: a super elegant and tasty option for your friends who’d like something non-alcoholic at the party. To a cocktail shaker filled half way with ice, add gin and plum syrup. Shake the bejeezus out of it until your hands can hardly hold that shaker ‘cause they are so icy cold. 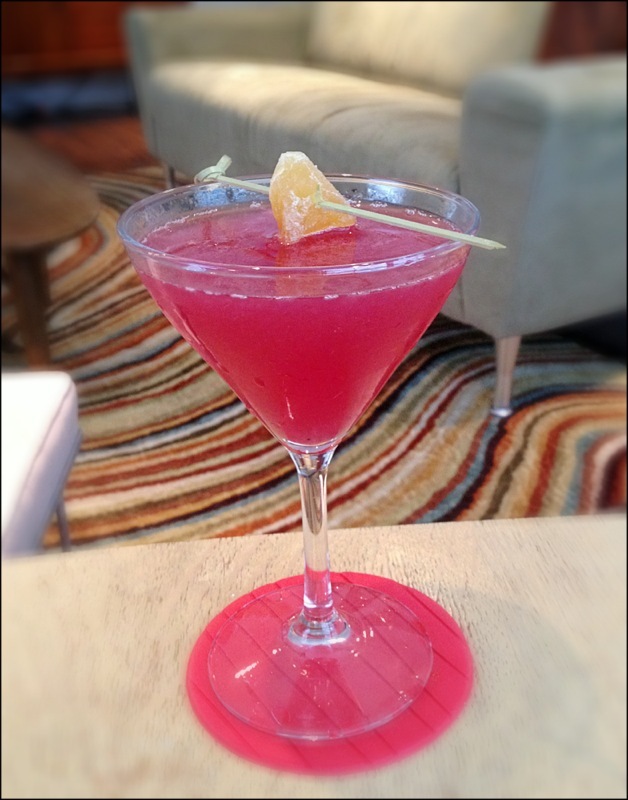 Strain into a martini glass; garnish with a cube of candied ginger pierced on a narrow skewer. 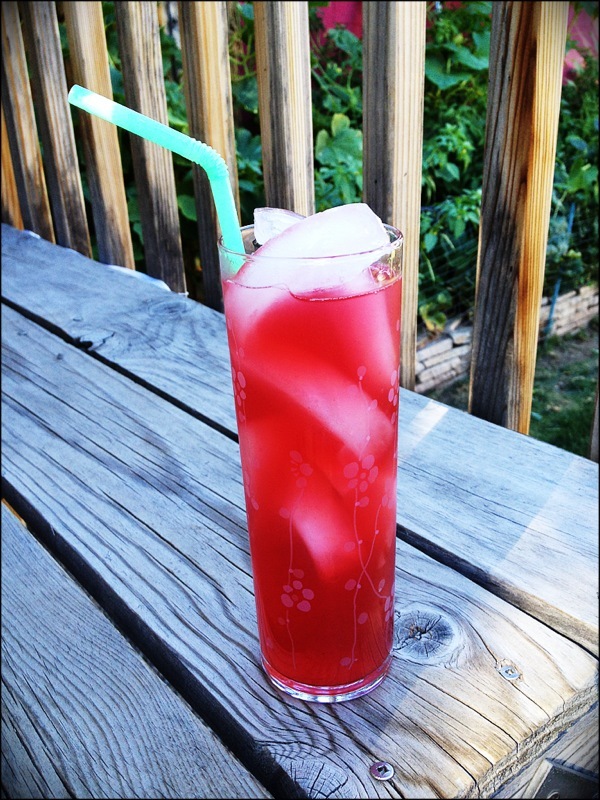 Plum Crazy- a bourbon & plum cocktail. Thanks to The Macallan for the awesome coaster. In a large glass filled with ice, swizzle together bourbon and plum syrup with a long spoon until well combined. Pour in club soda and gently stir to combine. Plum-Ginger Pink Peppercorn syrup on the stovetop. Smells so good! Combine all ingredients in a heavy medium saucepan. Bring to a low boil, and then reduce to a simmer. 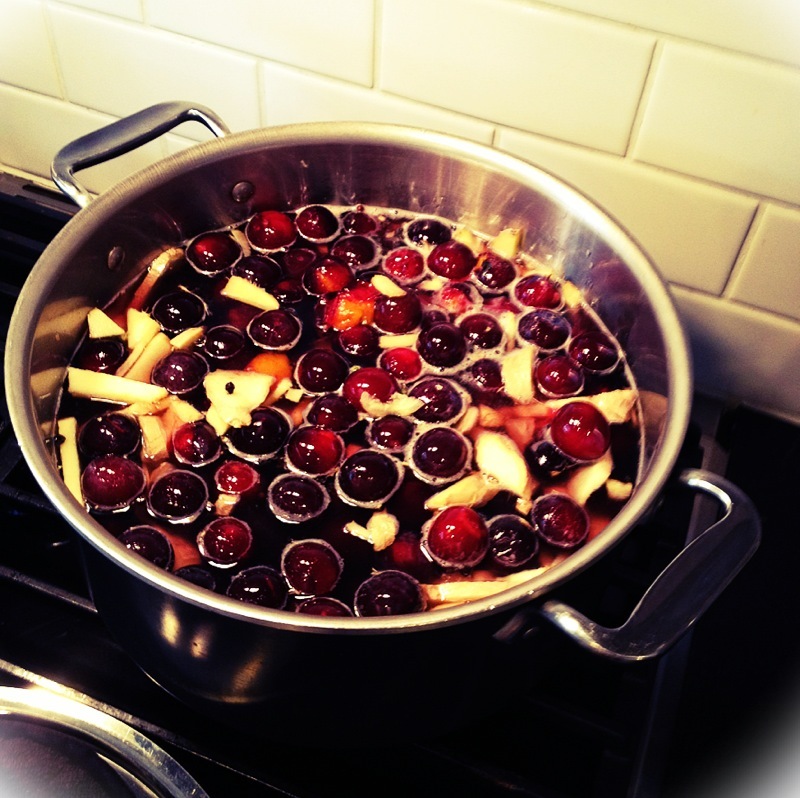 Let simmer for 30 minutes or more, or until fruit is very soft and broken, stirring occasionally to prevent sticking. Remove from heat, uncovered, and let sit until it reaches room temperature (about an hour). Pour initially through a mesh strainer to remove large solids. Strain again through a double layer of cheesecloth or a jelly bag; don’t be tempted to push your liquid through the strainer or scrape the goo off the bottom (that will make your syrup cloudy- yuck!). Store in a sealed glass jar or bottle in the refrigerator. *You can use fruit that’s a little bruised or smooshed to make this syrup, but throw any fruit showing rotting or mold in your compost.